How much variety and discrimination is there in the Gulf? Looking on in from the outside, most expatriates see the Arabian Peninsula as one monotonous geography. The women wear black (unless they’re Kuwaiti) and the mean wear white. The language is the same, and everyone is a Muslim. And that’s the Gulf. Well, hardly. Each country is unique, and offers a wealth of diversity in terms of culture, history and opinions. The range of accents in Bahrain is so prominent that a local will be able to tell where a compatriot may be from how the greeting alone. Saudi is the most diverse country in the region. Its twenty million nationals come from all four corners of the world, and don’t be surprised to meet a Saudi whose roots trace back to Indonesia, China, or Western Africa. The Kingdom’s Western Region is the richest melting pot you’ll come across, thanks to hundreds of years of pilgrimage to the two holy cities of Makkah and Madinah. Often foreigners think that Dubai or Doha are the two cities that offer the greatest contrast of cultures and groups, but they don’t come close to what Jeddah has to offer. And Christians in Kuwait and Bahrain? And a Jewish community in Manama? Yes, they’re locals (but there’s not many of them). And of course, with variety comes discrimination. There’s a good deal of nepotism across the Gulf mainly due to the tribal, bedouin nature. It’s not uncommon to find a certain group dominating in one company – it’s not so much where a person is from as often as what their tribal name is. Many Saudis don’t use their tribal names any more. And there’s also discrimination based on region (Jeddah versus Riyadh, Dubai versus Abu Dhabi etc), on the history behind the family name (in other words how far back can the family’s genealogy be traced), and on religion (which mathab or religious affiliation a person adheres to). While this isn’t unique to the Gulf (tell me a place where there isn’t any discrimination) what I do find interesting is the institutionalized discrimination in certain parts of the GCC. 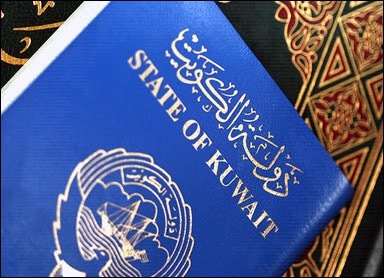 Some states, most notably Saudi Arabia, Kuwait, Bahrain and Oman count GCC nationals as locals when it comes to hiring and nationalization quotas. The UAE and Qatar do not – when they say local they mean local. For a European the difference in policy between the two groups is hard to fathom (especially when considering the relatively small populations of both Qatar and the UAE when compared to Saudi Arabia). So, the next time you’re sitting in the coffee ship and sipping on your coffee do remember to ask yourself where the gentleman in white is from. You may be surprised at how much you can learn about a region that is full of culture and contrast.